Thousands of people are using WordPress plugins because all WordPress plugins provide awesome features, great flexibility to the users, are editable and also save time as well. All experienced persons are using WordPress plugins and even the beginners are also using these WordPress plugins. All you have to do is go to your Admin Panel under “Plugins” and click on “Add New” where you can search for each new plugin and install directly from your Admin Panel. There is another way of installing these WordPress plugins and that is to use an FTP client such as FileZilla and browse your WordPress Plugin directory “WP-Content” then “Plugins” to manually upload the plugins files. One thing you should keep in mind that after manually uploading your plugin files you will still need to activate them by visiting your Admin Panel and going to the plugin tab and choosing activate. Scroll through our wonderful free wordpress plugins and do let us know what you think about this compilation. Feel free to share your opinions and comments with us via comment section below. This Plugin detects mobile browser and display the theme as the setting done from admin. Usefull for switch to Mobile Theme. Adds the Interbookings.com bookings form to your post, or place the Interbookings.com button to your sidebar. Add a powerful FAQ & Knowledge Base on your WordPress Blog or Website. Powered by Casengo. A great WordPress Slider to display featured posts in Presentation Cycle. This plugin can capture a query string when the visitor comes to your Site from Google Results Page. Then you can show your visitor button with prepared text and search phrase to get high CTR. Allows WordPress users to easily use HTML5 the element enable native audio playback within the browser. It supports all browsers i.e. Firefox, Chrome, Safari, IE and Opera. HTML5 Audio Player with Playlist, Repeat, Random, Stream Seek, Volume Control, Timer, Next, Previous, Play-Pause option. The best saving tool is now available on WordPress. Join top sites like NBC News, CNN, Disney and Fox Sports and offer your users a simple saving experience that keeps them coming back to your site. Nivo shortcode for the jQuery Nivo slider; “The Most Awesome jQuery Image Slider”; reputed to be the world’s most popular jQuery image slider. Real Time Statistics on your blog, collecting information about visitors, spiders, search keywords, feeds, browsers, OS and more. Easy Contact Forms. Easy to create. Easy to fill out. Easy to change. Easy to manage. Easy to protect. The Facebook plugin for WordPress adds Facebook social plugins to your WordPress site. Associate your WordPress site with a free Facebook application identifier to enable advanced features such as automatically sharing new posts to an author’s Facebook Timeline or your site’s Facebook Page. Add JotForm forms to your blog posts with a click of a button. Create contact forms, surveys, order forms, event registration forms to your posts. 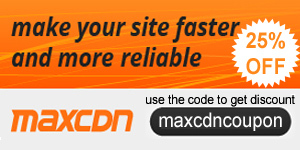 Why over 3,500 Sites Have Chosen AtContent? For the easiest way to Reach new readership, Increase search ranking, Control & Monetize content! Easy Media Gallery is a wordpress plugin designed to display portfolios and various media support including gallery sets, single image, google maps, video, audio and link with very ease and elegant. A system to streamline the process of getting designs, photos, or videos approved by clients quickly. xili-language lets you create and manage multilingual WP site in several languages with yours or most famous localizable themes. Ready for CMS design. Fancy Gallery associates linked images and galleries with the jQuery Fancybox. This Plugin has been granted the “Famous Software” Award! ocial networking in a box. Build a social network for your company, school, sports team or niche community. Implements Tag “Video” in posts and comments which automatically identifies videos from sites like: youtube, googlevideo, dailymotion, etc..
Feedweb is a simple way to get to know your audience. Find out what readers think about your blog. Ask any question and get feedback. Add Facebook Like and Send buttons after each post. Automatically include Open Graph Meta Tags. Adds an additional interface for events similar to normal posts. Also includes a widget for upcoming events. Easily add Instagram Feeds, Facebook Group Feeds, Twitter Feeds, and now YouTube Videos Feeds to any page, post or widget. Super lightweight, simple, nice, modern looking and effective social sharing and following buttons and icons on your site without the extra burden. Wp App Studio is easy to learn and use design tool for creating fully featured custom apps(plugins) based on WordPress platform. No coding required. Kirim email dan SMS alert ke administrator jika ada yang menghubungi melalui contact form. Kirim SMS alert kepada pengunjung yang telah mengisi form. An easy to use Testimonial Plugin for WordPress. Supercharged WordPress Popup Plugin. Possibly the best way in the world for you to create unique unblockable popups to grow your list of subscribers! This plugin will check if a user trying to register to your WordPress site is using an email from a domain which is defined in blacklists. Lets you embed the GroupDocs Annotation into WordPress to annotate your documents directly in WordPress website. Search and Compare major travel websites for cheapest flights, hotels, car rentals and vacation packages in this one-step travel search engine. Allow your visitors to comment and login with social networks like Twitter, Facebook, Paypal, LinkedIn, LiveJournal, OpenID, VKontakte, Google, Yahoo. Adds BadgeOS features to BuddyPress and bbPress. Earn badges based on community activity, and display them on user profiles and activity feeds. Thanks a lot for this post! Really awesome!! Thank you!!! This is a valuable post. I really appreciate it.